First select a number. Then select an operation ('+', '-', 'x', '/'). Then select a second number. The result will be added to the work area above the initial number selction. Repeat this process, also using the new numbers that you are generating. 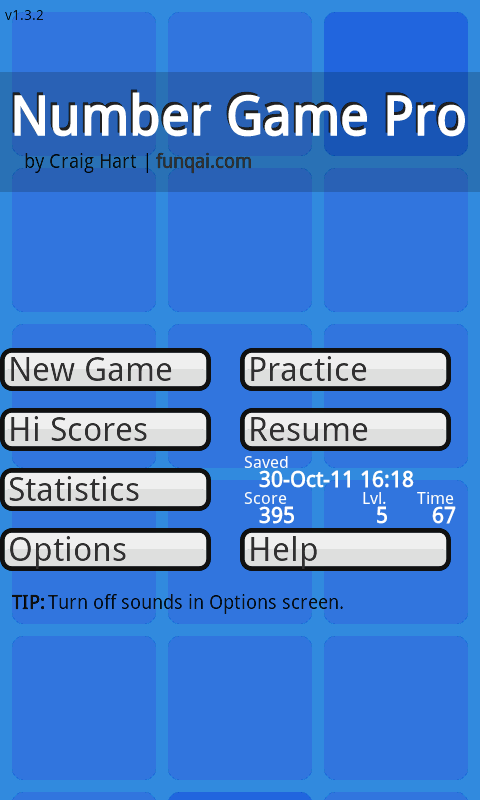 When you have a number that is within 10 of the goal number, shown to the top-center of the screen, select the number and press the submit button. If this number is within 10 of the goal number you will progress with a new goal number. Also extra time will be added to the count down. If you cannot get to within 10 of the goal number, select any number and press the submit button. You will progress with a new goal number but without scoring. If you make a mistake press the clear button to start again with the same goal number. Combo - For every sum you make within 10 of the goal number a point is added to your combo meter. The current value of your combo is added to all scores. Double/Triple word scores - After a perfect number matching the goal, the next sum scores double points. If the next sum is also exact, then the next scores triple! 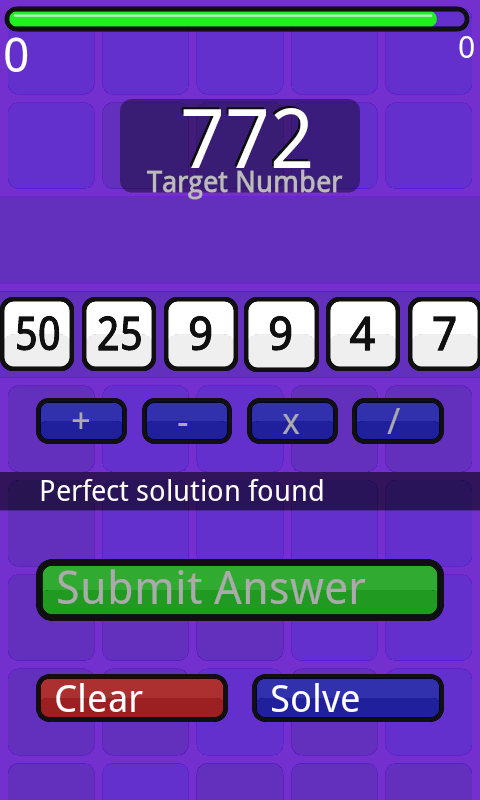 Solver runs in the background while you play attempting to solve the current sum. As soon as it is finished it will let you know if a perfect solution is possible, or if not, how close it is possible to get. 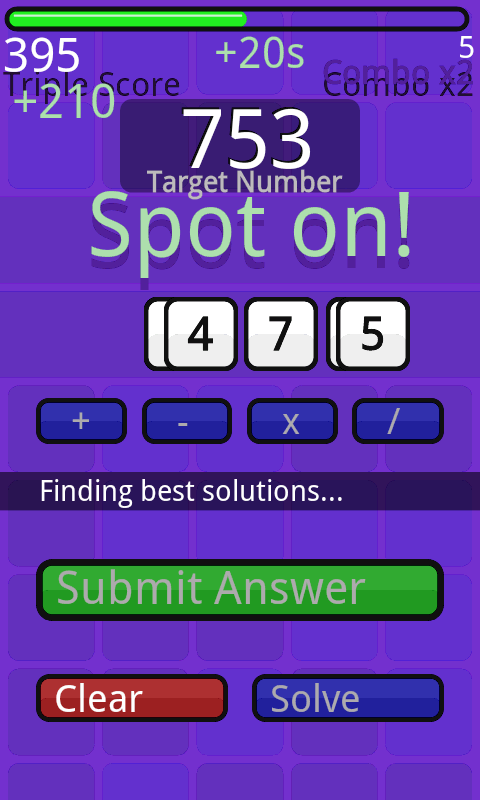 If you are stuck you can press the 'Resolve' button to show the solution. This will forfeit the round, and you will loose bonuses and combo. I believe there is an option to uninstall in Settings > Applications > Manage Applications > Number Game. If that doesn't work, try restarting the phone and trying again.